The girl in the red is giving Paul that look. I see it all the time in these Beatles photos. Fans have this distinctive look on their face. How many of you have given one of the Beatles that look? 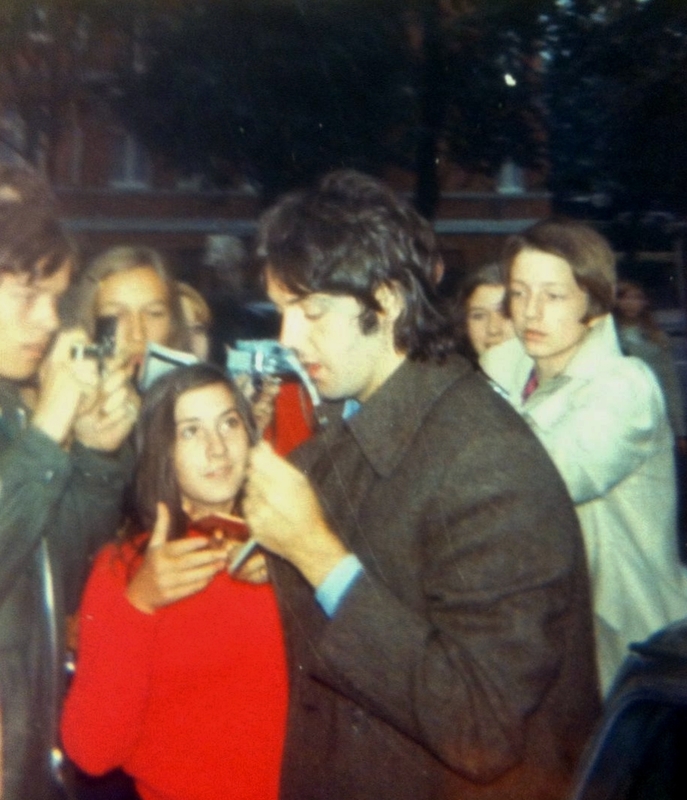 I sure hope the girl in red got her Paul autograph that day. You mean "the look of love"? If so, I am guilty, guilty, guilty many times. Couldn't take my eyes off John. Lizzie - this is just an expression we use in Vt meaning you get round open eyes and are briefly blinded by the light; in this case meeting Paul!